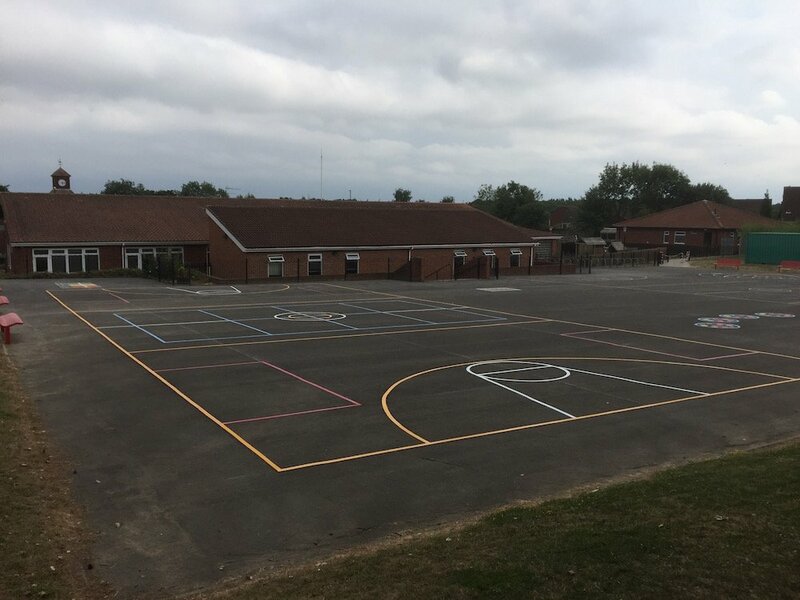 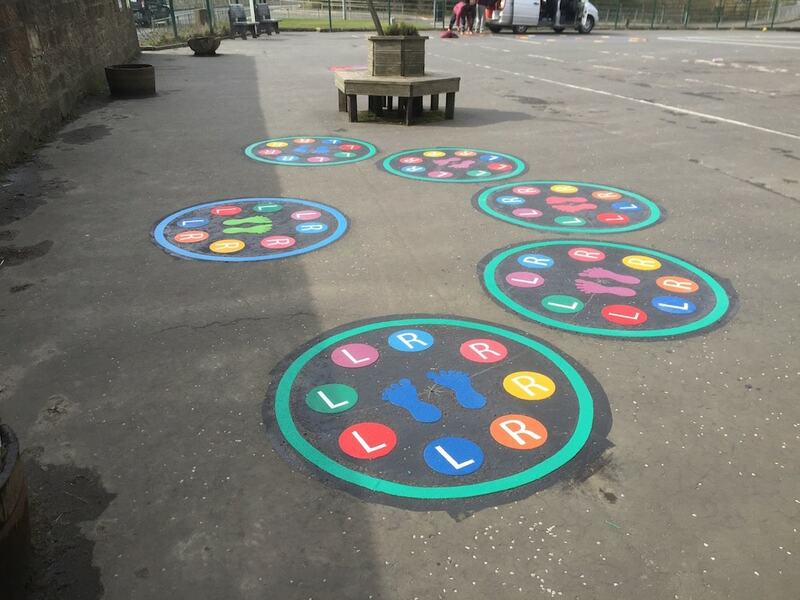 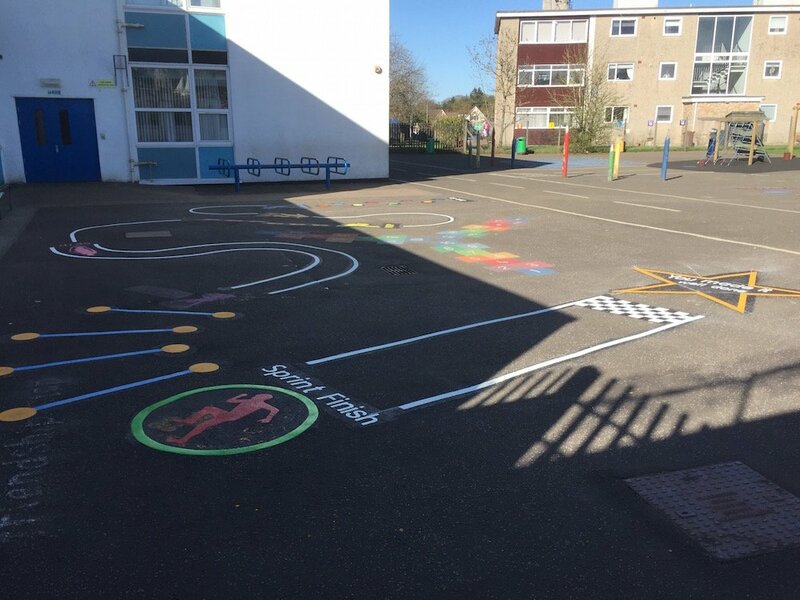 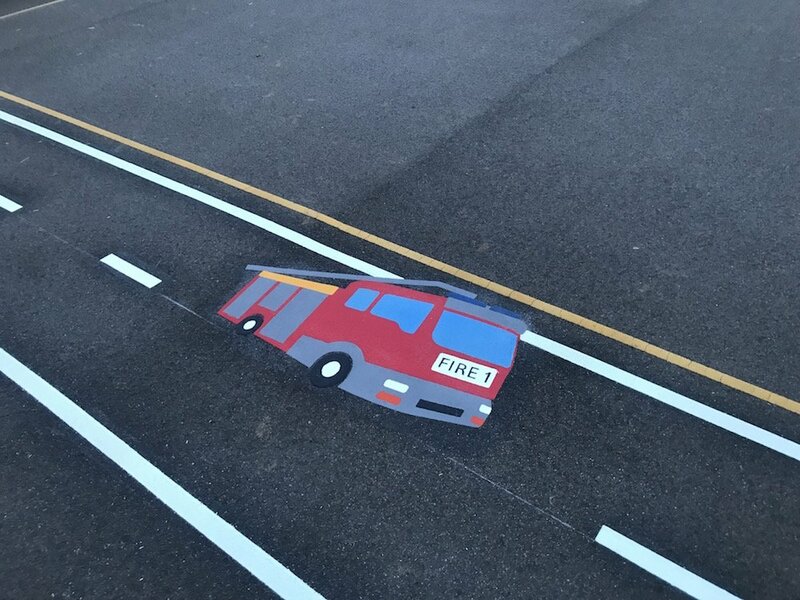 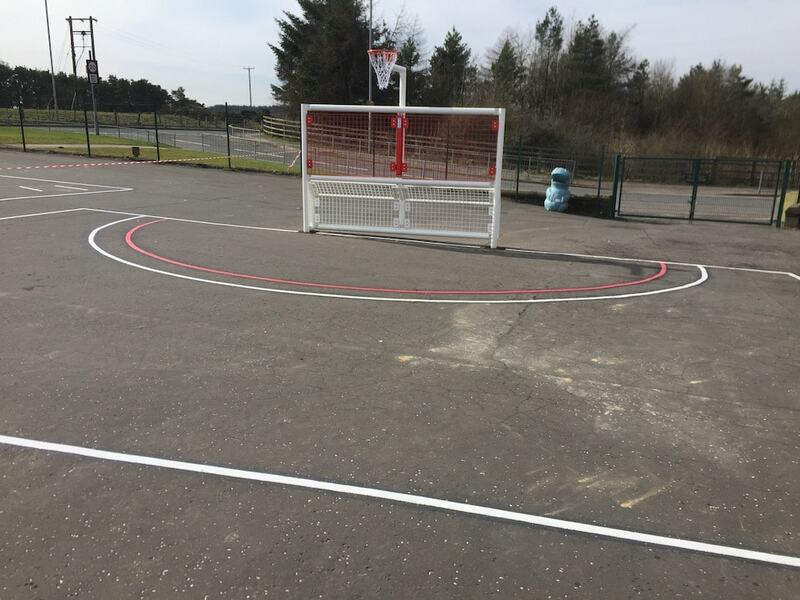 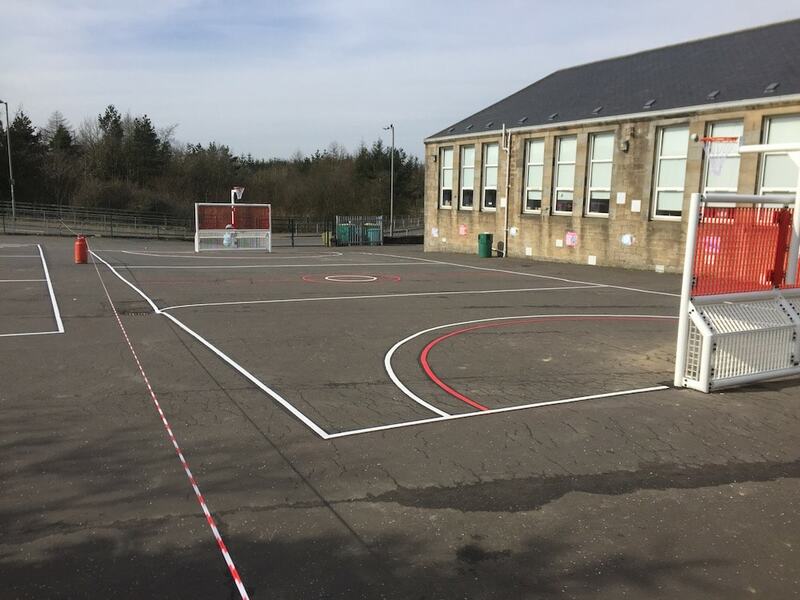 first4playgrounds installation team recently completed a range of thermoplastic playground markings at a primary school in Shottskirk in North Lanarkshire. 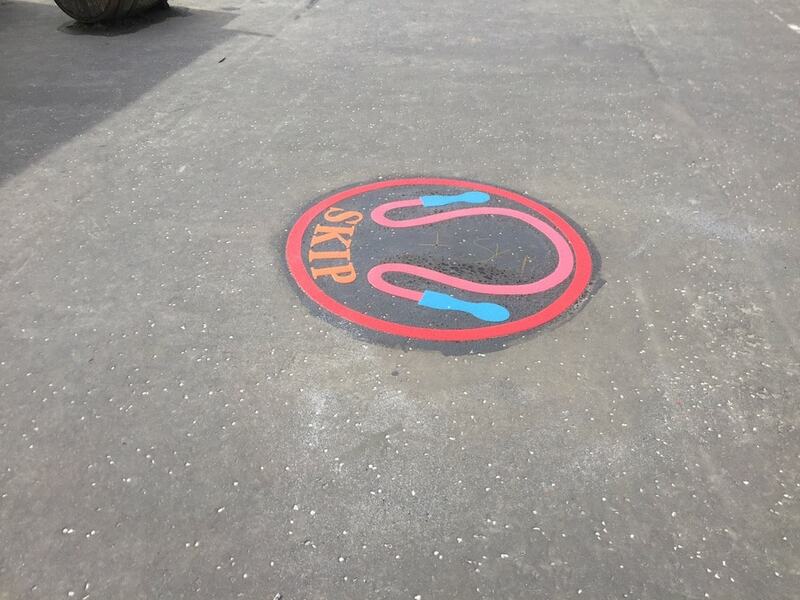 The first of these markings was a skip circle, where children stand inside the circle and use a skipping rope. 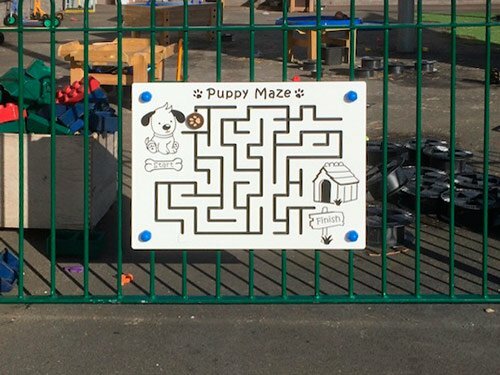 Therefore this is a great game for keeping the children fit. 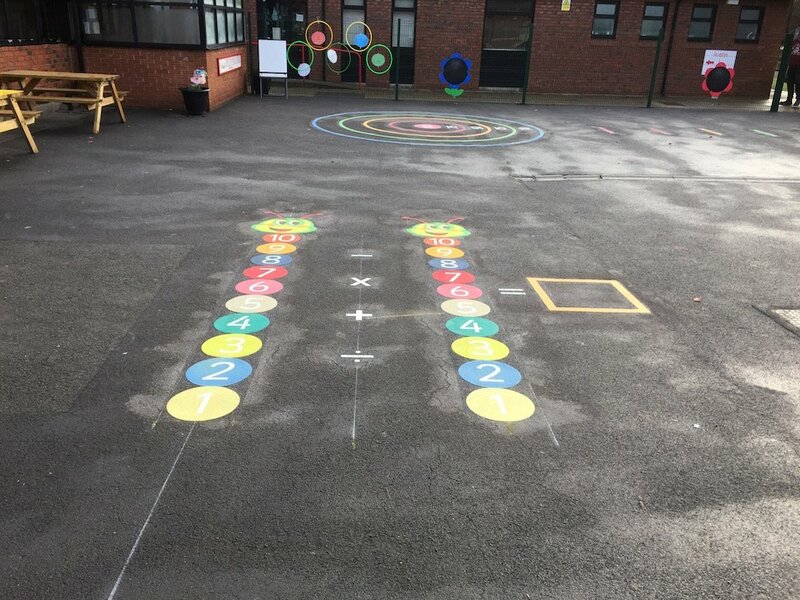 Next a dance class. 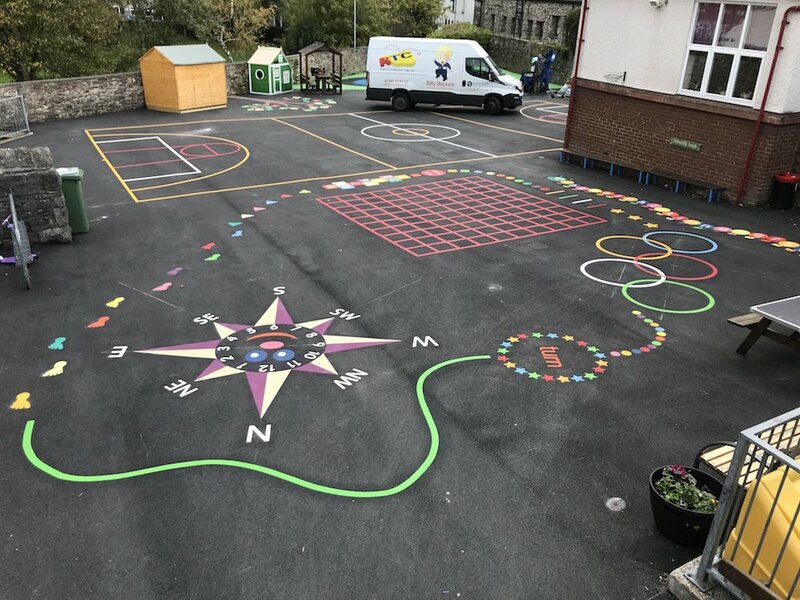 In this colourful marking a teacher stands on the centre most circle and places their right or left foot onto specific coloured circles and the children have to mimic the teachers footsteps exactly. 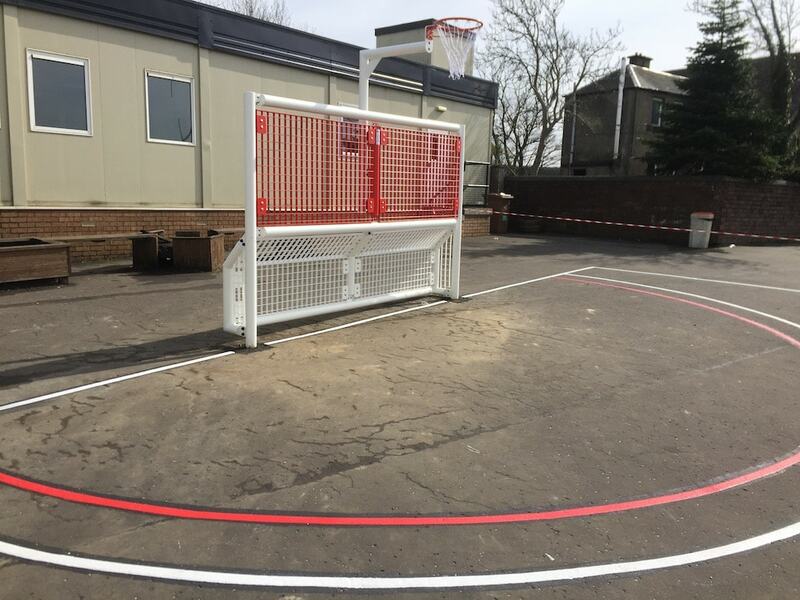 Finally we completed this football/netball pitch with the steel goals. 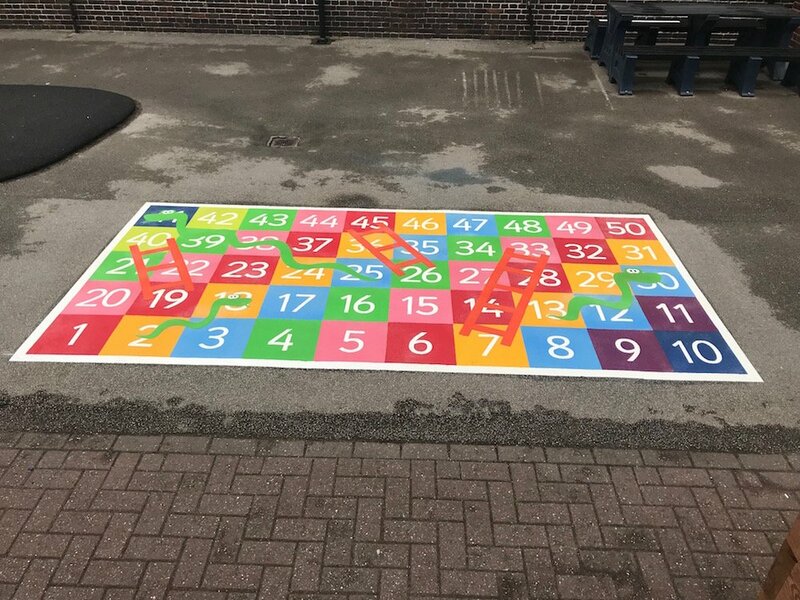 Due to the teachers and parents reactions we think is a very good addition to any school play area. 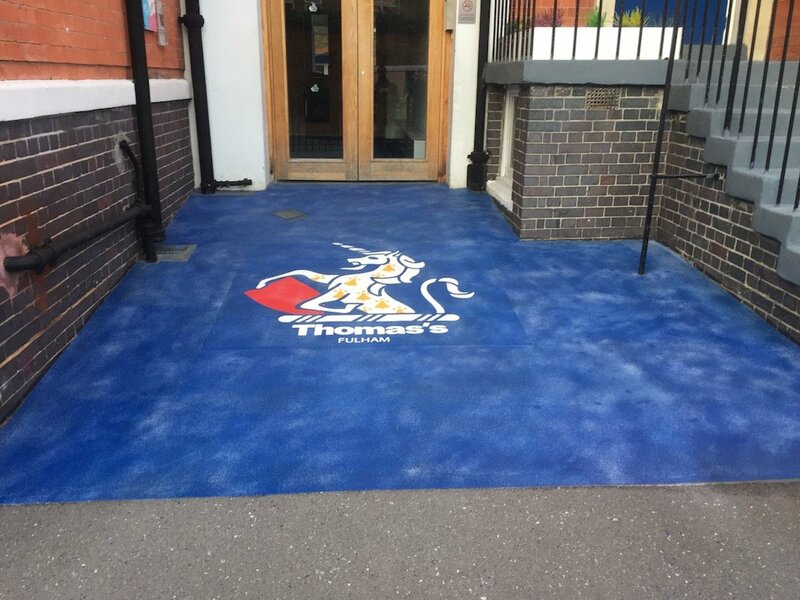 It is one of our most commonly installed products.